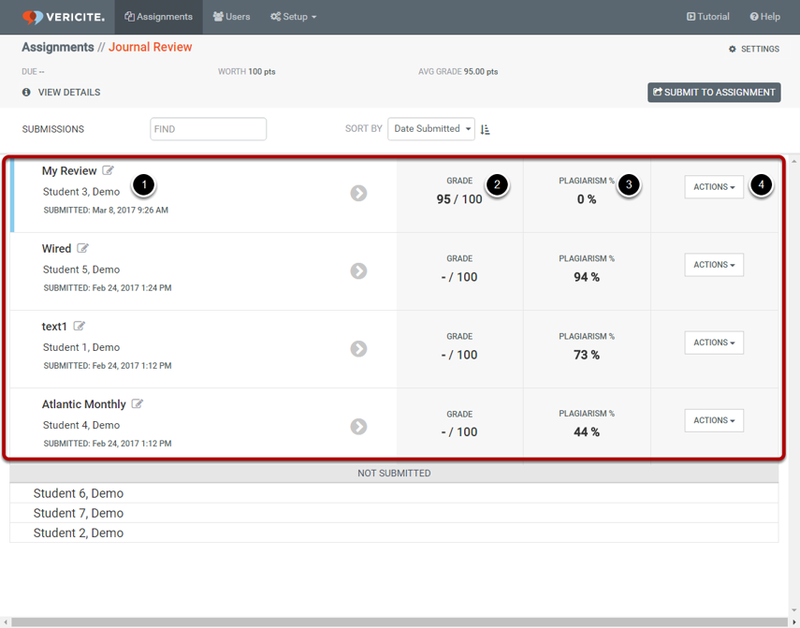 VeriCite DocumentationUser GuidesVeriCite Help VeriCite LTI Instructor HelpHow do I view VeriCite LTI student submissions? 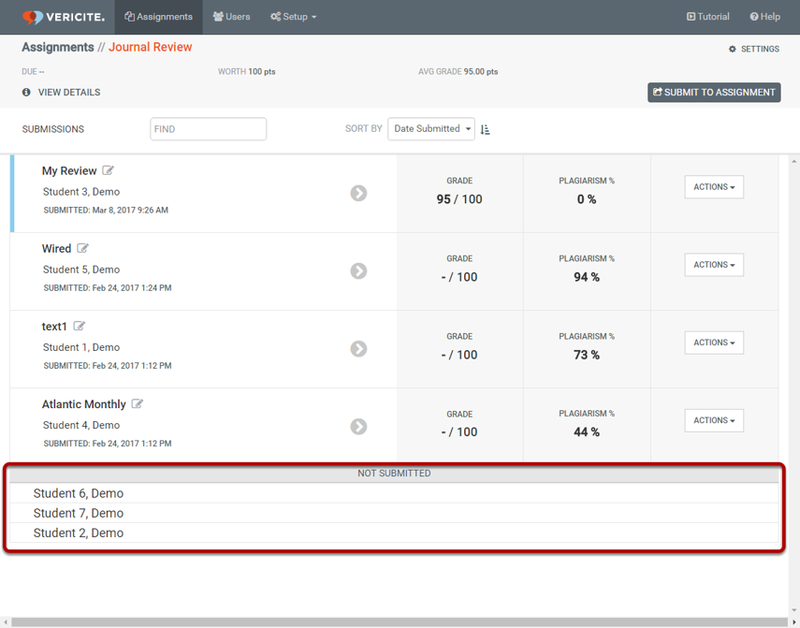 Zoom: The assignment submissions page shows a list of all student submissions. 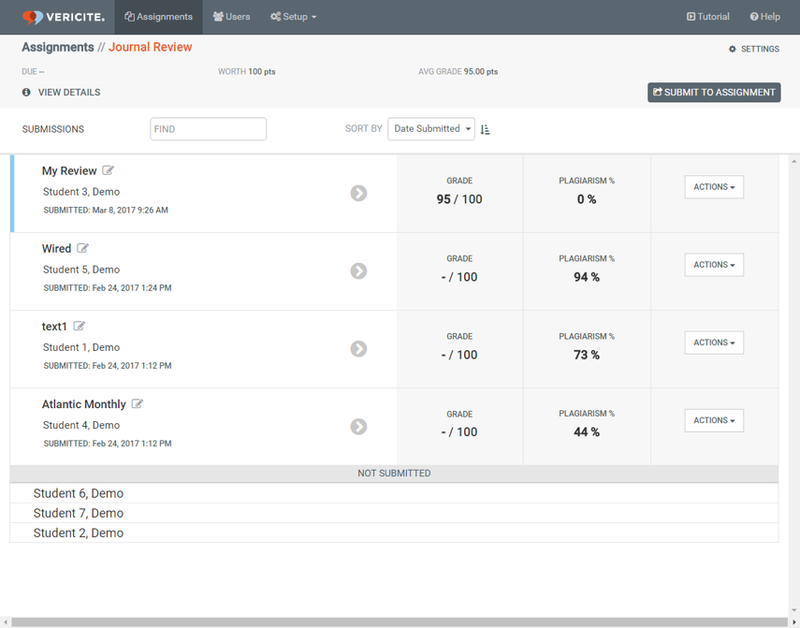 Zoom: Submitted assignments are displayed at the top. Zoom: Enrolled students that have not submitted the assignment are listed in the Not Submitted section at the bottom. Next: How do I edit the title of a student assignment submission?